A new study of Oso Bay in Corpus Christi, Texas, aims to do what has never been done before—provide a detailed assessment of the bay’s water quality. 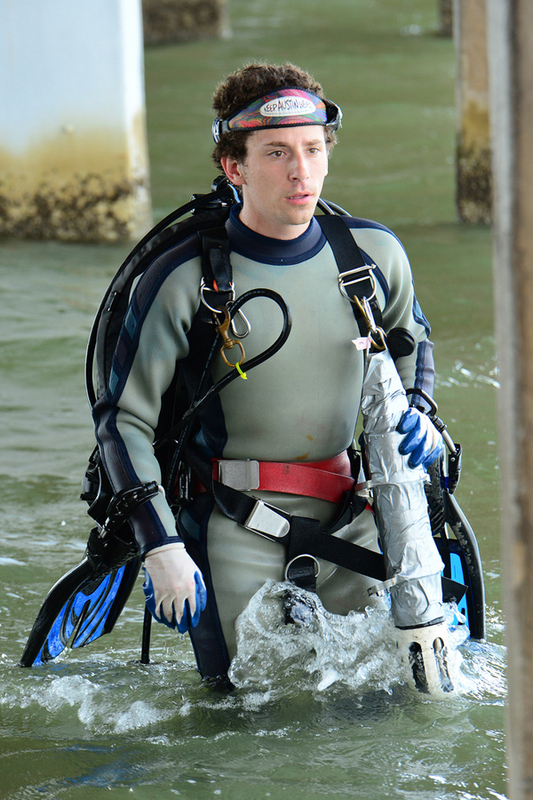 Researchers from Texas A&M University Corpus Christi are in the middle of a year-long study focused on assessing the health of the bay. Lee Schroer, a graduate student with the university‘s Harte Research Institute, has been working with Kevin Nelson, the study’s principal investigator and a post-doctoral research associate with the institute. Central to the study are a series of six underwater Hach Hydrolab DS5X multiparameter sondes. The instrument measures dissolved oxygen, temperature, pH, salinity, turbidity and chlorophyll concentrations. The researchers will also periodically spot check the bay’s total suspended solids, nutrients and chlorophyll levels through different filtering processes every 10 days. Although past monitoring projects have assessed the water quality in Oso Bay, the current study will be the most extensive ever completed. Researchers from the university conducted the only other significant water quality study in the bay in the late 1990s. In that study, researchers took spot samples once a month from three locations in Oso Bay and Oso Creek. The most significant data from that study showed that the water around a wastewater treatment plant on the bay was nutrient-loaded. Following up on the previously collected data, assessing the current nutrient concentrations of the bay is a top concern for today’s research team. Preliminary testing shows that the bay’s western shore still has higher concentrations of nutrients because of the wastewater treatment plant. Researchers are still waiting on additional data before they can categorize the state of the bay with certainty, however. If algal blooms do become prevalent in the region, it could have a detrimental impact on the health of the bay’s fish populations. Oso Bay supports abundant of wildlife and is especially known for sustaining shrimp, black drum and sea trout, which makes the region a prime attraction for fishermen. Toxic blooms could lead to higher mortality rates for fish and make consuming wildlife from the bay dangerous for humans. The study is set to continue through March 2014. The findings of the study will be used as a benchmark for future water quality testing in the region. The university plans to make the data available for anyone to use for any scientific, recreational or economic purposes.